Matthew Apgar - mapgar@shawmedia.com Julie Thompson of Woodstock smiles with friends as she and other attendees of the 12th annual Mad Hatters Luncheon peruse the silent auctions on Wednesday, May 06, 2015 at the Holiday Inn in Crystal Lake. 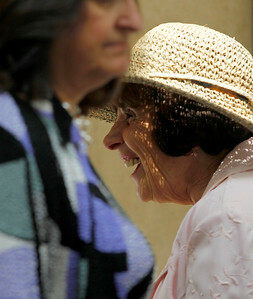 Proceeds from the event benefit the Centegra Gavers Breast Center. Matthew Apgar - mapgar@shawmedia.com Melissa Braun of Crystal Lake smiles with friends as she and other attendees of the 12th annual Mad Hatters Luncheon peruse the silent auctions on Wednesday, May 06, 2015 at the Holiday Inn in Crystal Lake. Proceeds from the event benefit the Centegra Gavers Breast Center. 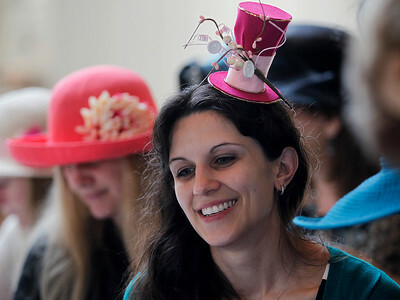 Matthew Apgar - mapgar@shawmedia.com Abby Manders of Milwaukee wears a small hat as she and other attendees of the 12th annual Mad Hatters Luncheon peruse the silent auctions on Wednesday, May 06, 2015 at the Holiday Inn in Crystal Lake. Proceeds from the event benefit the Centegra Gavers Breast Center. 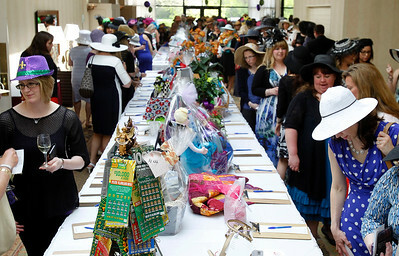 Matthew Apgar - mapgar@shawmedia.com Attendees at the 12th annual Mad Hatters Luncheon peruse the silent auctions on Wednesday, May 06, 2015 at the Holiday Inn in Crystal Lake. Proceeds from the event benefit the Centegra Gavers Breast Center. 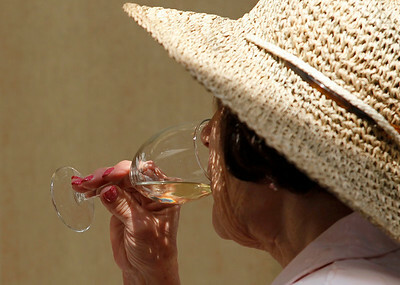 Matthew Apgar - mapgar@shawmedia.com Marie Walters of Crystal Lake enjoys a glass of wine as she and other attendees of the 12th annual Mad Hatters Luncheon peruse the silent auctions on Wednesday, May 06, 2015 at the Holiday Inn in Crystal Lake. Proceeds from the event benefit the Centegra Gavers Breast Center. 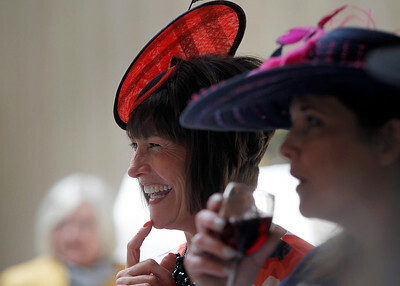 Matthew Apgar - mapgar@shawmedia.com Marie Walters of Crystal Lake talks with friends as she and other attendees of the 12th annual Mad Hatters Luncheon peruse the silent auctions on Wednesday, May 06, 2015 at the Holiday Inn in Crystal Lake. Proceeds from the event benefit the Centegra Gavers Breast Center. 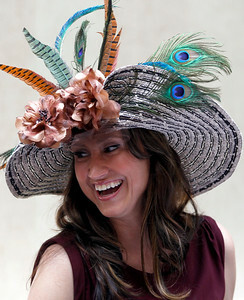 Abby Manders of Milwaukee wears a small hat as she and other attendees of the 12th annual Mad Hatters Luncheon peruse the silent auctions on Wednesday, May 06, 2015 at the Holiday Inn in Crystal Lake. Proceeds from the event benefit the Centegra Gavers Breast Center.